CV/0 deleted Graduate in law (1980). Professional journalism qualification (1982). CV/1 deleted Regional Secretary of the DS in Sicily (1999-2001); member of the national executive of the DS (since 1999). CV/2 deleted Deputy in the Sicilian Regional Assembly (1991). Member of the Italian Chamber of Deputies (1992-1994). Graduate in law (1980). Professional journalism qualification (1982). Regional Secretary of the DS in Sicily (1999-2001); member of the national executive of the DS (since 1999). Deputy in the Sicilian Regional Assembly (1991). 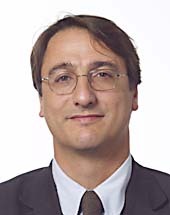 Member of the Italian Chamber of Deputies (1992-1994).